My wife’s first clean-up drive and my son’s first climb. | Cheap Camera, Priceless Memories. My son’s first climb almost became a disaster when I forgot my camera’s memory. Good thing the EDSA-Crossing terminal has some cellular phone stores nearby. 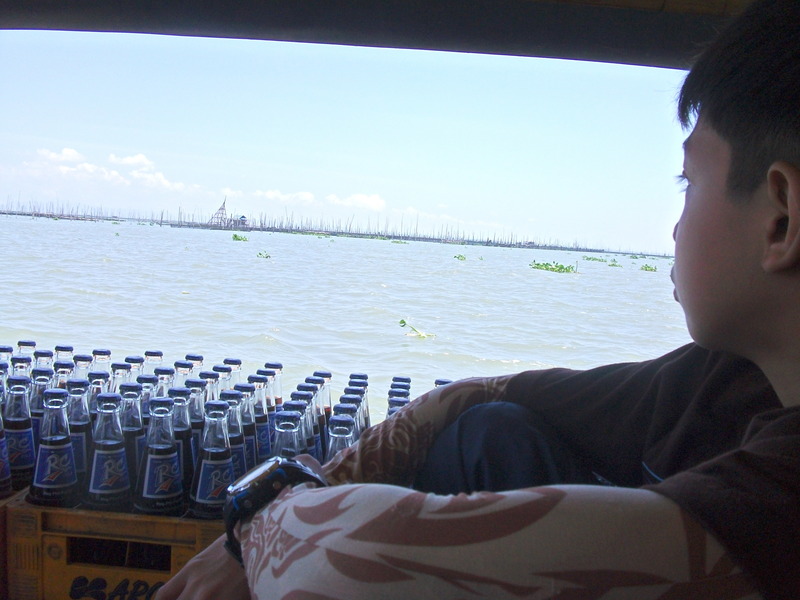 From that starting point, we took the jeepney for the port of Binangonan. Next was an hour and a half ferry to Brgy. Janosa. 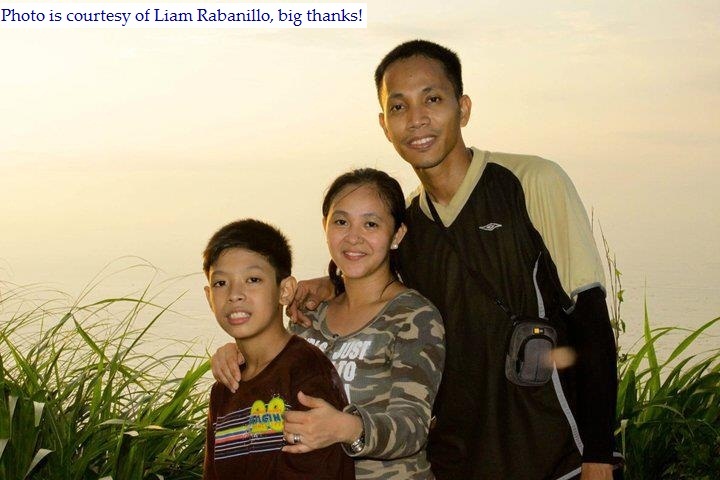 Although our team leader Nico Waya Rabanillo once climbed Mt. Tagapo before, we arranged for a guide because we have three children in our group and trail to base camp has some forks. Frankly, I almost got into tears when I took this shot, so happy. Can’t wait to complete this with my other two sons. Aside from imparting her the LNT principles, my wife heeded when I told her our group have to do clean-up. Her smile describes her willingness. I really love this kid Marley, we were leaving Mt. Tagapo but look at him (in the middle) still looking on his beloved mountain. oo nga po sir Christian, medyo bulky pa po mga gamit ko kasi hindi ko pa po nakukumpleto mountaineering gears ko, all perished when typhoon “Ondoy” flooded Manila. Ganyan talaga pag ama, di bale ng mabigat ang dala maging magaan lang sa mga anak ang climb. If you have seen how I carried my son when we took a peek at Mayon’s perfect cone, I also did the same. Anyway, this is about you. I’m just happy that at an early age, pinapamulat mo na sa kanila ang mountain climbing. It’s a very good way of letting them understand what’s left there to be saved and inspire them to do their simple ways of preserving and conserving the beauty of nature. Kudos to you on that, Bro! Regards to you and your mountaineering club – your family. More mountains to conquer … I know our paths will meet soon. Freelance lang tayo Sony. Yun ang di ko pa nagagawa, carry my son on the back, maybe sa isang dayhike sa future. Okay i-train ko pa two sons ko before umakyat and who knows that maybe the day we will meet, with your son too. Yap! I saw that Mayon family bonding nyo, wala pa ako picture na ganun yung buhat ang anak, I want one sa future. Ngayon ko lang nakita to sir Joni! More articles to come! I hope we can climb again! amused reading this bro joni…btw im a woman age 63 yrs old..we had a reunion last 2009 and hiked Mt Pulag and to “brag” abt it (trek) i was d 1st to reach the summit among my batchmates (age 50 -53)..i cant believe ..but i did it! and last good friday i hiked Mt Cabuyao ,sowi but “kulang ung layo” jeeee…but ok lng at least “nakapagpenitensya” …thank you and God bless you and your family..more power! Pingback: An unexpected tree planting on my friend’s return climb (an unexpected twin hike too) | Cheap Camera, Priceless Memories.